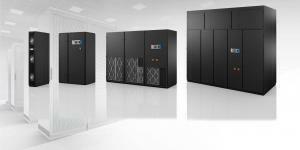 About Us – Data Room Cooling. Since 2004, Cold Wall Inc. has serviced the Central Florida Community with HVAC (Heating, Ventilation, Air Conditioning). Proudly providing sensible Solutions, Professional Performance, and real Results, for commercial sales, service, and installation of Air Conditioning projects. We love Critical Systems / Data Room Cooling. Our technicians are factory trained on various brands. Operate with peace of mind. Our critical response team is available when you need us! Because our business is dynamic, we offer custom solutions for unique projects. We offer Reliable Consultations, Strategic Planning ensuring successful execution of each job. We follow industry standards and factory specifications to maximize savings and energy efficiency. Located in Central Florida serving throughout the state, when appropriate we travel to you. Here when you need us as friends in the HVAC business.